The Chapter is in need of additional mentors. If you are interested, email Jessica. This is the formal event that kicks off to the Chapter's annual Mentorship program! Join us for an event designed to help our mentors and protégés to find the perfect match on their development journey. Register through this event for your interest in participating in the program. The Mentorship team will reach out following your registration with additional information. Mentors and proteges who have applied and been accepted to the program will be contacted after registering for this event. Advance registration for all events is required. Participation in these in-person events is highly recommended, but not required. The program is structured in a semi-formal approach, by the Chapter Mentorship team facilitating the webinars and in-person events. The leadership team also supports the program by serving as a coach through periodic email reminders and check-ins throughout the duration of the program. Participants are encouraged to attend ATDSFL events as part of their development journey throughout the program. All current ATDSFL members can participate in the program. This program is free and offered as part of chapter membership benefits. We ask that all program participants maintain active membership throughout the duration of the program. Please note, this event is only for ATDSFL Chapter Members. If you are not a member, but want to participate, click here to join the chapter today. 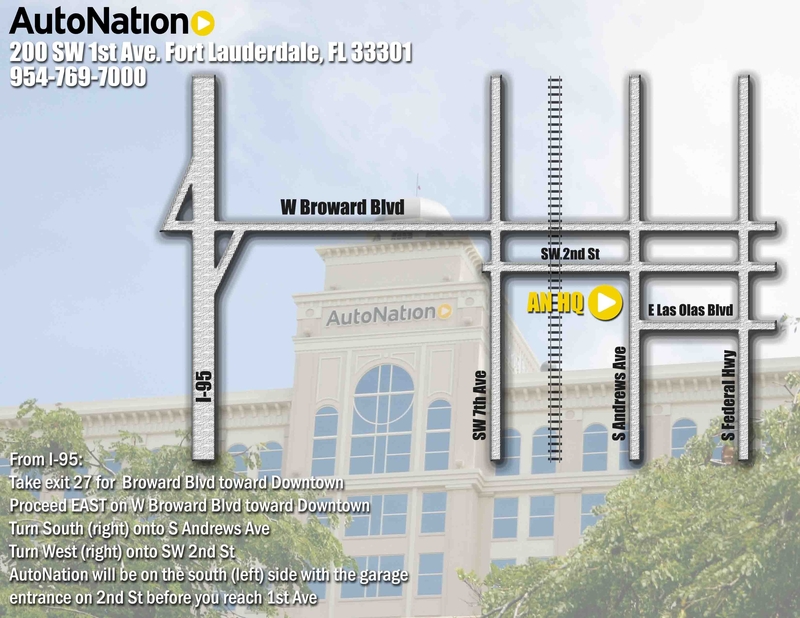 The event will be at the AutoNation Headquarters in Fort Lauderdale. Click here for directions. To get from AutoNation to the parking garage, continue South on 1st Ave, take a left on Las Olas and on the right you will see a Neon Sign that says "Public Parking". The parking garage is multi-story public garage. Elevators are located on the ground level of AutoNation building. Lobby Desk Associate will help guests. Note: If you reach South Andrews Avenue, you have gone too far.